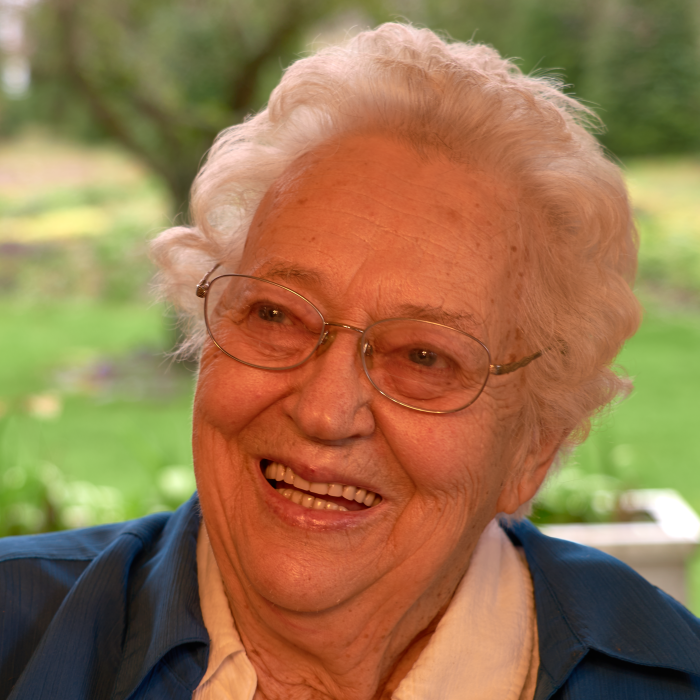 Elaine Louise Barber Schoelkopf (Pat) peacefully passed away March 27th, less than 2 weeks prior to her 93rd birthday. Pat was born April 9, 1926 to Ernie and Nancy Barber. Pat Initially met her future husband, Bill, in first grade and remembered being impressed by his horse. Their actual first date wasn’t until she was a junior in high school. They would go to dances and Bill would have to sneak Pat in because she wasn’t 18 yet. When Bill asked Ernie if he could marry Pat, Ernie said, “Hell no!” Bill and Pat got married anyway on January 6, 1945. They had 3 children; Diane, Bill, and Tom. Pat worked multiple jobs including; Sears, a farm surveyor, school bus driver and mail carrier. She retired from the post office after 15 years but by no means slowed down. She ventured into Christmas tree farming and property investments. Several years after Bill passed, Pat moved and started the mini storage business, Sto-N-Go storage. Pat served on the Thurston County Planning Commission, Board of Equalization, and Sewer Committee. She was a member of the Grand Mound - Rochester Citizen’s Group, Chamber of Commerce, and Volunteer Fire Department Wives. Pat joined the Sunshine Club and carried a Gold Sheath Membership to the Ford’s Prairie Grange. She spent numerous years organizing and cooking for Swede Day as well as baking cakes for dances at the Swede Hall. Pat lived her life with passion and determination. When she encountered problems, she was known for breaking down barriers to solve them. Pat was never afraid of hard work. She was always looking for the next opportunity and became a pioneer of her time. She was a passionate advocate and a supportive mentor. Pat lived life on her terms to the end. She will be missed by her sister: Alice (Jim) Frost; her children: Diane (Bruce) Wilkinson, Bill (Susan) Schoelkopf, and Tom (Patty) Schoelkopf; her grandchildren: Erin, Nancy, Carol, Joel, Seth, Lyndel, Mark, BJ, Kari, Jami and Chase; twenty-one great-grand-children; and one great-great-grandchild. She was preceded in death by her parents, her husband Bill, life partners Allan Fricke and George Kirkpatrick, her sister Evelyn, and her great grandson Joel. Celebration of life will be at the Swede Hall April 8th at 3pm. In lieu of flowers, please consider donating to Swede Hall.